"There are many good reasons to take action to manage your diabetes." There are many good reasons to take action to manage your diabetes, including the fact that you are likely to feel good and have more energy. Additionally, you are likely to stay healthy and prevent or delay problems that can involve your heart, blood vessels, eyes, kidneys, and nerves. Follow this four-step action plan. It will help you live a long and healthy life. Here's the tip sheet [pdf]. Living with diabetes is not easy. 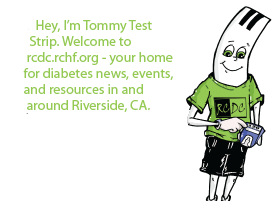 Type 2 diabetes is serious and there is a lot to do each and every day. But, you can learn how to better manage your diabetes. Choose a goal and make a plan. By taking it one step and one day at a time, you can do it. Remember, your health care team is here to help. Here's the tip sheet [pdf].